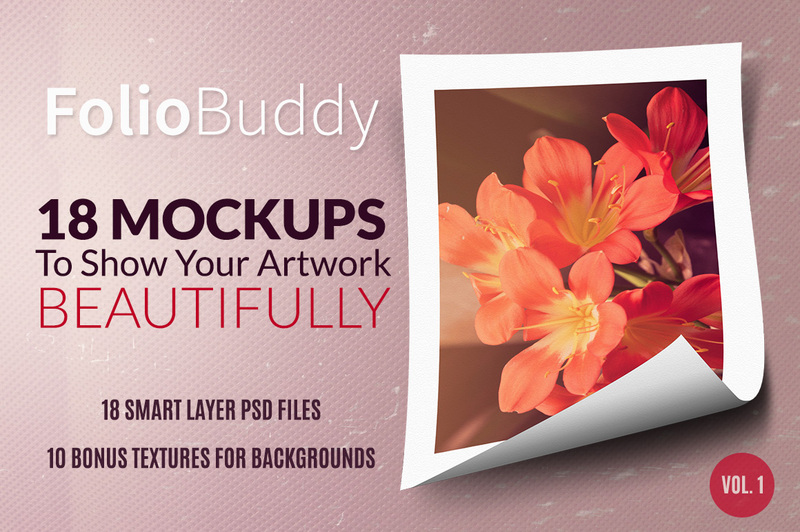 FoliBuddy is a super sleek resource of 18 amazing mockups to showcase your photos, designs or artwork in a very beautiful way. This resource is best for photographers, artists, illustrators, graphic designers, design companies and those who want to present their design works in a beautiful way. Ideal for portfolio display. The canvas size of the PSD files is 2000px wide and more. Large enough!! Easy-to-use PSD files. Double-click the smart-object layer(s) (RED layers) and add your artwork and save. You can also easily choose your background color by clicking Color Fill layer or add background textures provided in the download file. Check out screenshot below for more info on how-to-use. PS: If you like it, please recommend and share. Thanks much!